Traditionally scent, temperature and taste are the key elements for the enjoyment of scotch or whiskey. 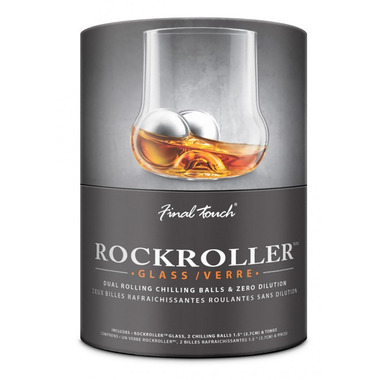 Now with Final Touch's RockRoller you can add motion & chilling into the mix. 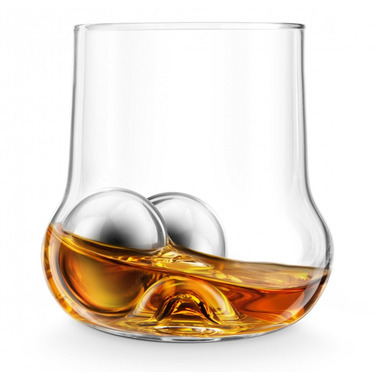 A simple wrist motion rolls each of the chilling balls around the bottom and the outward curve prevents them from rolling out while sipping. 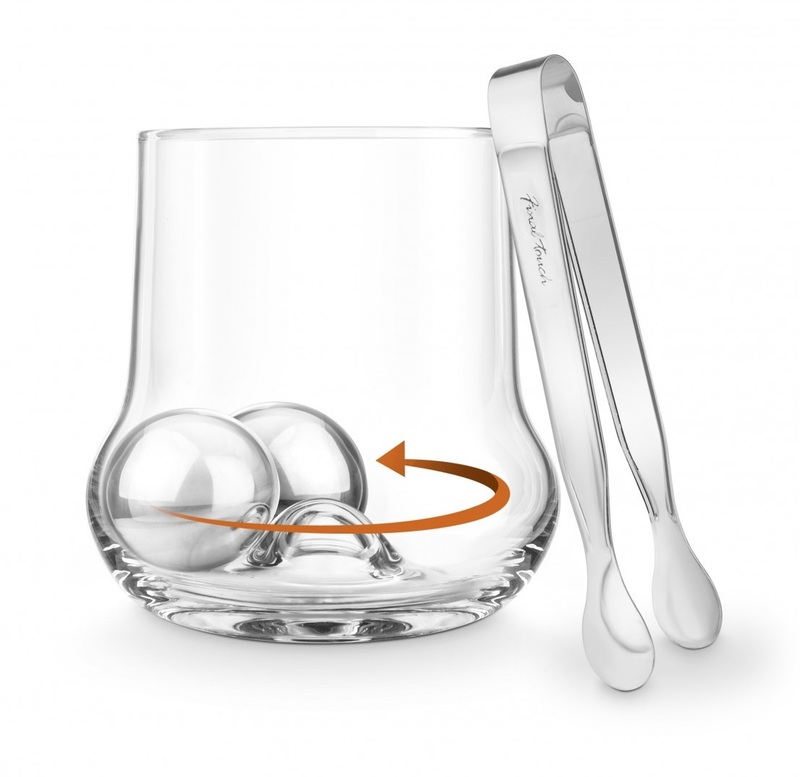 The dual stainless steel chilling balls chill faster and longer with ZERO dilution. A pair of tongs are included for safe handling of chilling balls. The RockRoller’s chilling & motion will take your experience to the next level!